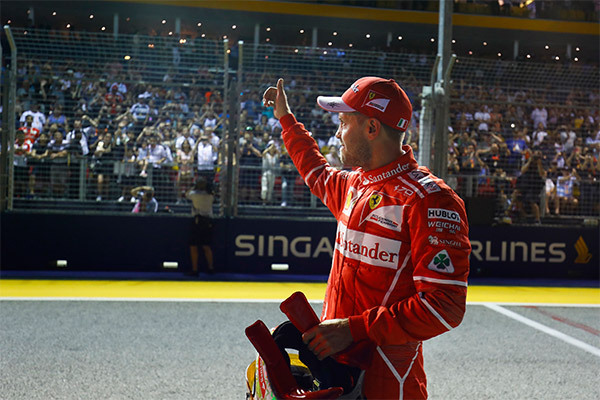 16 September 2017, Singapore – Ferrari’s Sebastian Vettel has taken a serious mortgage on a fifth win in Singapore by claiming his fourth pole position at Marina Bay Street Circuit, his third of 2017 and the 49th of his Formula 1 career. 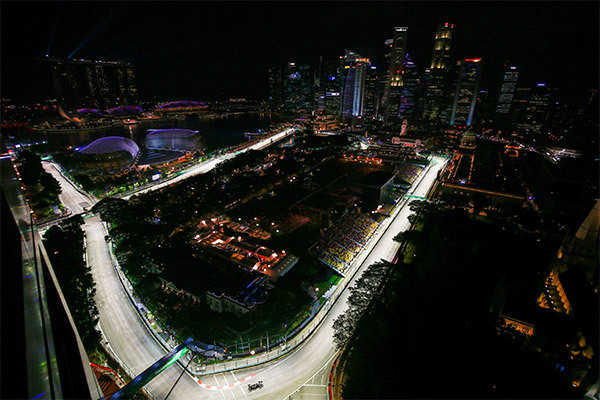 Vettel’s pole-winning time of 1:39.491 was the fastest ever recorded around the Singapore track, and one of only two to dip under the magical 1:40 mark. It also meant Red Bull’s stunning form of Friday was not good enough to keep the scarlet car at bay when the chips were down. Max Verstappen threatened to claim his first F1 pole with his pace through Q1 and Q2 and was first under 1:40 in Q3 but could not match Vettel’s last-minute blitz. It means Verstappen has lost his chance to become the first teenager ever to take a Formula 1 pole – he turns 20 on September 30. As expected, Mercedes could not find enough to challenge for pole, with Lewis Hamilton in fifth place, more than six-tenths behind Vettel, and Valtteri Bottas in sixth ahead of Renault’s Nico Hülkenberg. Perhaps the biggest surprise of an unusual session was the form of McLaren: a day after announcing their split from Honda, the two combined to put Fernando Alonso in eighth and his team-mate Stoffel Vandoorne one place behind him. 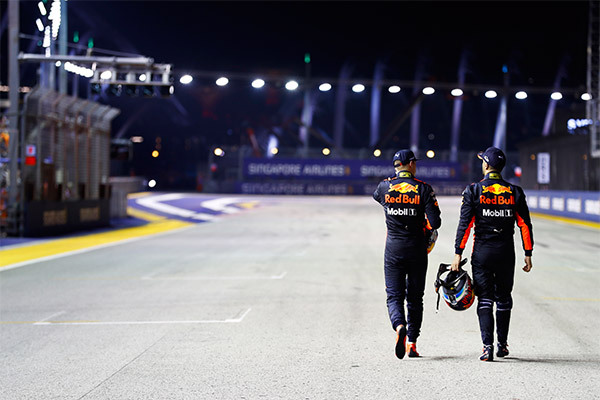 When racing action began it was Singapore’s Ringo Chong who became the first winner of the 10th Singapore Grand Prix weekend. 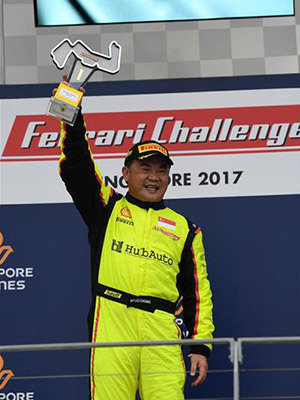 The 51-year-old veteran took the honours in a first Ferrari Challenge Asia Pacific race interrupted by four laps behind the Safety Car when Kent Chen hit the barriers hard on lap 3 of 10. Chong kept his head at the restart with just five minutes’ racing time left and secured his first win of the season ahead of Zen Low, who set fastest lap of 2:22.516, and Huilin Han. Series leader Philip Prette was fourth after being edged out in the sprint for the first corner at the original start. Later in the day Martin Ragginger in the Team Porsche Holding entry took full advantage of picking up pole when fastest man in qualifying Will Bamber had his time disallowed to record his third race win of the 2017 Porsche Carrera Cup Asia series. Bamber was third behind fellow New Zealander Chris van der Drift, while the final lap of the 12 was lit up by a spectacular fire on Bao Jinlong’s Zheng Tong Auto car, the driver coolly grabbing a fire extinguisher to assist the trackside marshals. A packed off-track schedule that included Ariana Grande and Duran Duran ended with a superb performance on the Padang Stage by The Chainsmokers.